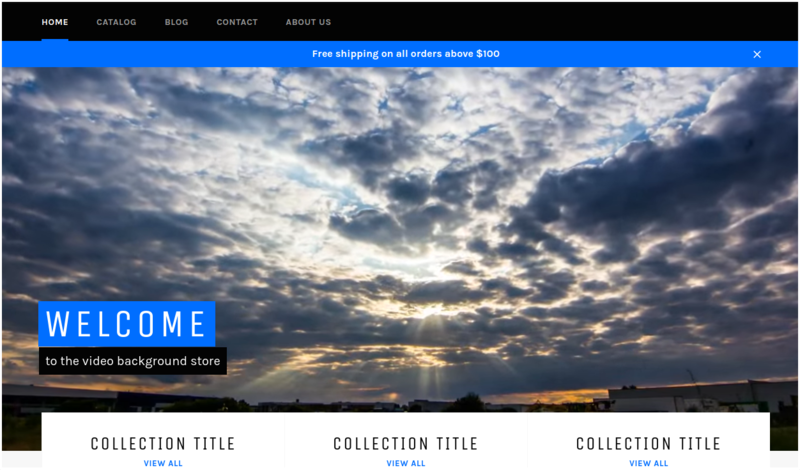 Venture is one of the most downloaded free themes from Shopify. The design of its homepage is perfect to place a video as background and make your store look amazing. You can also add one video to each slide.